A diet rich in olive oil has been enhancing the health of people living in the Mediterranean region for thousands of years. Within the past century, however, the benefits of olive oil were also scientifically investigated, acknowledged, and proclaimed across the globe. The beneficial health effects of olive oil are due to its phenolic composition. Olive oil contains a wide variety of valuable antioxidants that don’t appear in other oils. Hydroxytyrosol is thought to be the main antioxidant compound in olives, and believed to play a significant role in the numerous health benefits attributed to olive oil. Many cardiologists recommend a daily intake of at least two tablespoons of olive oil, while epidemiological studies suggest that olive oil has a protective effect against certain cancers -breast, prostate, endometrium and colon. It has also been suggested that olive oil may be partially responsible for the low occurrence of various heart diseases. It helps to maintain the blood pressure at normal range. Moreover, the antioxidants found in olive oil can fight cholesterol. Olive oil is unlikely to cause any allergic reactions; it does have demulcent and mild laxative properties, acting as a stool softener. It is also a potent blocker of intestinal contractions. Daily consumption of olive oil helps the cognitive function, may prevent strokes, reduces the risk of diabetes and obesity and can prevent osteoporosis and rheumatoid arthritis. Olive oil is known not only for its healing qualities, but also as a natural, deep penetration moisturizer that regenerates the skin cells and softens the epidermis. It’s widely used in cosmetics, soaps, hair products, and shaving creams and is immensely beneficial and popular among those who prefer natural remedies. Last but not least, the olive leaves can be used in medicinal teas. 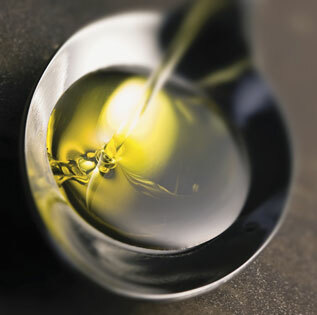 Below you will find the most well known and scientifically proven health benefits of olive oil. It is clinically proven that daily consumption of olive oil can reduce the level of LDL (“bad” cholesterol) in the blood, while increasing the level of HDL (“good” cholesterol). Thus, it helps lower the levels of blood cholesterol leading to heart diseases. Recent studies have also shown that the consumption of olive oil can help decrease both the systolic and the diastolic blood pressure. This happens because of the polyphenols found in the olive oil, but also because of the oleic acid; a fatty acid that can induce this lowering effect. Many researchers believe that various cancers, such as colon, prostate and breast, are linked to fat intake. Researchers from the University of Athens found out that moderate and regular intake of virgin olive oil –basic ingredient of the Mediterranean diet- is associated with lower occurrences of any cancer. Olive oil is rich in antioxidants, especially vitamin E, long thought to reduce cancer risk. Additionally, olive oil is the highest -of all plant oils- in monounsaturated fat, which doesn’t oxidize in the body. Another very interesting fact is that olive oil contains certain polyphenols that, along with oleic acid, appear to protect the oxidation of LDL cholesterol in the body. According to a recent study that took place in France, older people who daily consume olive oil may be protected against a stroke. Moreover, this study showed that older people who used enough olive oil in their diet had lower odds of a potential cognitive deficit for visual memory and verbal fluency compared to those who never used olive oil in their lives. Lately, researchers and nutritionists have been debating about the best eating pattern for diabetics. Researchers in Spain published an article in a scientific journal, arguing that a calorie-controlled diabetic diet high in monounsaturated fat does not cause any weight gain and is recommended for people with diabetes. High intake of olive oil appears to improve bone mineralization and calcification. It helps calcium absorption and plays an important role in aiding those who suffer and in preventing the onset of osteoporosis. Moreover, according to recent studies, individuals with diets containing high levels of olive oil are less likely to develop rheumatoid arthritis. Last but not least, a number of studies have shown that when people substitute saturated fat with monounsaturated-fat-rich olive oil, they either maintain or even lose weight. A diet high in monounsaturated fat and low in carbohydrates actually results in higher weight loss than a low fat, high carbohydrate diet.